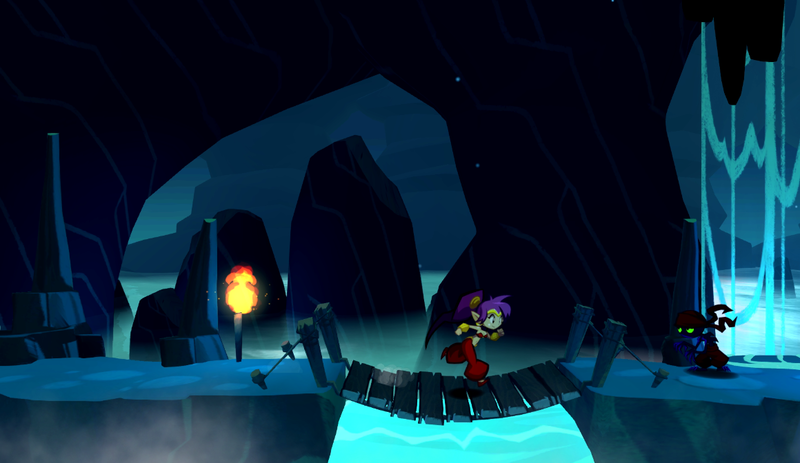 As an intermittently-invested Shantae fan, jumping in and out of the series once every couple of years, Shantae: Half-Genie Hero is undeniably the most beautiful entry in the series. From gorgeously fluid animations to the crisp clean artwork, it was a pleasure to behold on the big screen. While the gameplay was rock solid, the graphical style did struggle considerably with the small display on the Wii U GamePad. 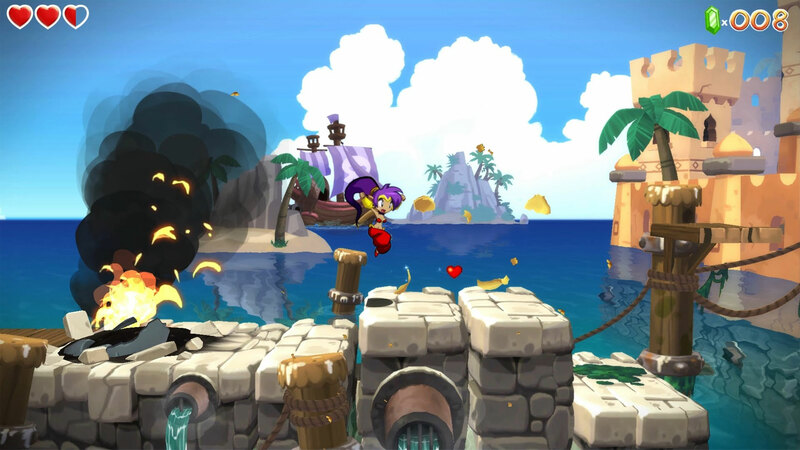 The E3 demo for Shantae: Half-Genie Hero started in Scuttle Town, under attack once again to the surprise of nobody who has previously played an entry in the series. 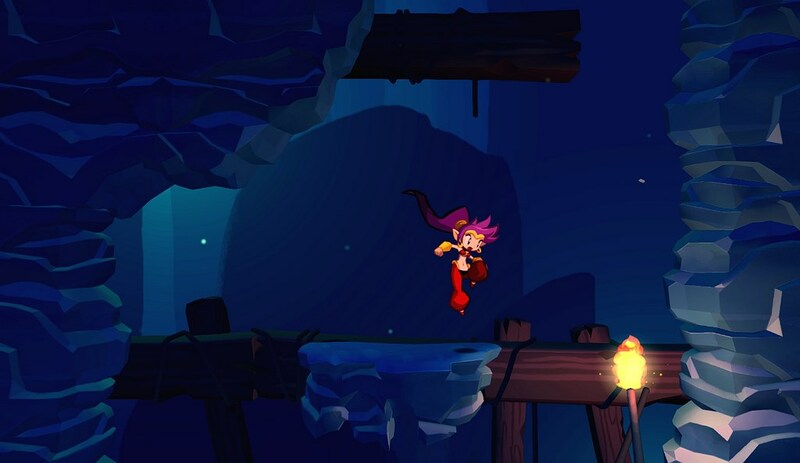 Once again series villain Risky Boots is responsible for the attack, and it's up to Shantae to save the day by whipping her hair back and forth. For the purposes of showcasing the game at E3, a number of transformation abilities were opened up during this level that players in the final game will have to earn, then backtrack in order to use. These transformations included a spider which could double jump in order to fire a web upwards and either pass onto the top if a platform was thin, or climb on the underside if thick, as well as a monkey who could cling onto and climb vertical walls. These transformations were initially a little fiddly to pull off, and were unable to attack unless they found in world upgrade items, but they provided a nice amount of variety to the platforming challenges on offer. Most of the areas they allowed me to reach contained additional treasure rather than any kind of optional path through the level, but it still felt rewarding to work out how to traverse seemingly unreachable points. Throwing out the previous entries sprite based art style, Half-Genie Hero instead opts for an art style far more akin to DuckTales Remastered. While you as the player and enemies are crisp sharp 2D animated characters, backgrounds and environmental elements are all 3D rendered. It was always easy to tell from art style alone what elements of the world could be interacted with in which ways, the only problem being that this art style was clearly designed for a large HD TV. The Wii U version of Half-Genie Hero mirrors gameplay to the GamePad screen and, while technically playable, the art lost a great deal of detail and sharpness. It was not only more difficult to play, but I was constantly aware of how beautiful the game could look if I returned to the TV. While the platforming and combat with standard enemies was just as rewarding as past Shantae games, the boss battle which ended the demo felt a little unsatisfactory. While the visual design of the encounter was memorable and the intended method of stunning the boss well thought out, the boss seemed to spend far too long on the floor each time he was stunned. 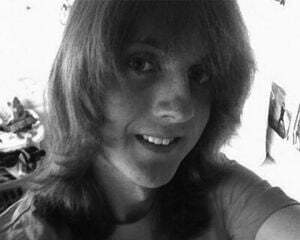 I felt like I was able to whip it with my hair far more times per stun than I should be able to, which somewhat diminished the pacing of the battle. I hope this is sorted before the game releases. When all is said and done, Half-Genie Hero played just as solidly as you would expect a Shantae game to play, and looked gorgeous when played on a nice TV. It's a beautiful reimagining of the franchise, and one I hope sticks around.